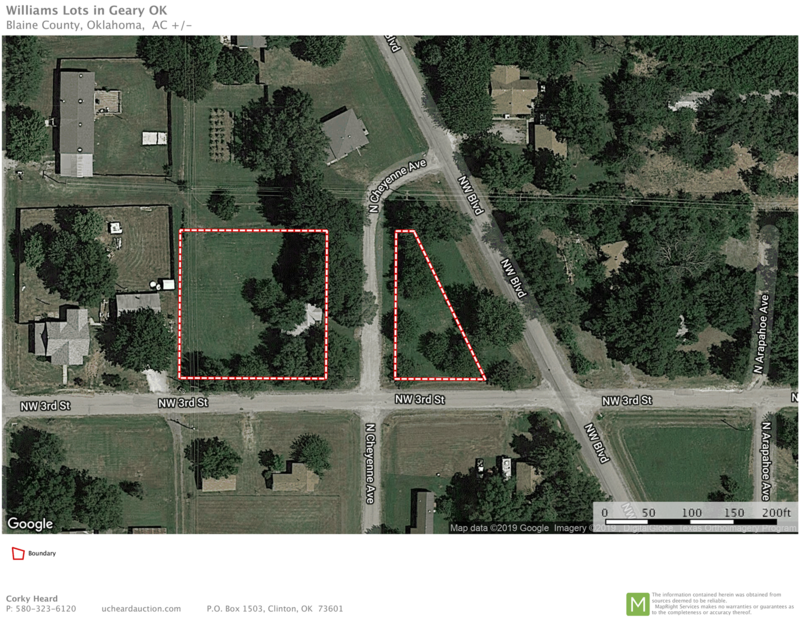 6 Residential Lots In Geary, Ok For Auction. These lots will be sold at auction without reserve and will not be divided. 205 W. Cheyenne Ave., Geary Ok - Lots 1-5, Block 7 and 325 NW Third St., Geary, OK - Lot 7, Block 6, will be included in this land offering. 10 % of the total contract price is to be placed in escrow the day of the auction with the remaining balance due at closing within 45 days. Call the office prior to auction to view the property.